We launched our new Patchwork Palettes at the Festival of Quilts in August and they proved very successful. Each Palette features 20 fabrics cut to 10 inch squares so they are perfect for Layer Cake patterns. Since there are only 20 fabrics in each pack they are more versatile, as you can mix different Patchwork Palettes into the same quilt. Our Patchwork Palette range will be growing but we start off with packs from Kaffe Fassett, Philip Jacobs and Amy Butler. 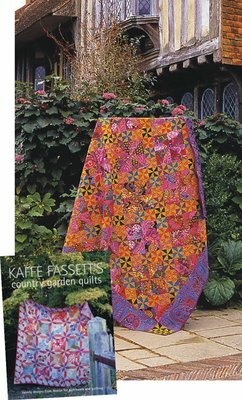 Kaffe Fasset and Rowan's latest Patchwork and Quilting project book was launched at the Festival of Quilts in August. The book is a sumptuous collection of quilts with a floral theme and marks a decade of partnership between Kaffe and Rowan. 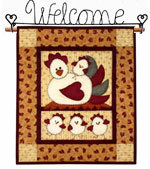 We now have available all 20 quilts as fabric packs for you to make. The instructions for making the quilts are all in Country Garden Quilts so you will need a copy of the book. As usual there is a range of visually stunning quilts from a range of designers using some of the latest fabrics from Kaffe. The photographs of the quilts were taken at Great Dixter, the House and Gardens made famous by Christopher Lloyd, that epitomise the English Country Garden. Great Dixter is combination of an original mid 15th century building and a 16th century house in a similar style, which was moved from Kent. This new combination was the work of the famous architect Edwin Lutyens. The Garden though is mainly the work of Christopher Lloyd and is in an arts and crafts style with a Long Border, Wall Garden and Meadow amongst its features. As we arrive at The Festival of Quilts in August 2008 we will be taking delivery of Kaffe Fassett's new project book Country Garden Quilts. 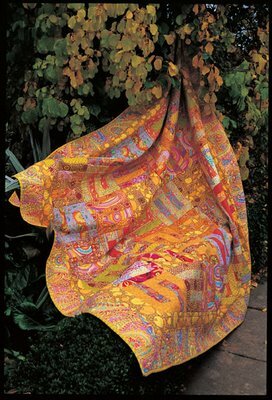 This sumptuous collection of quilts with a floral theme marks a decade of partnership bewtween Kaffe Fassett and Rowan. Country Garden Quilts is photographed in the wonderful gardens at Great Dixter in Sussex. 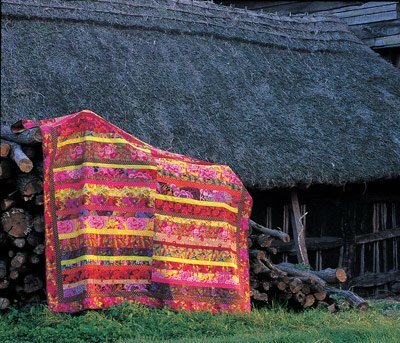 The 20 quilts feature the latest fabrics from Kaffe Fassett and Philip Jacobs. Each project has detailed instructions and diagrams. 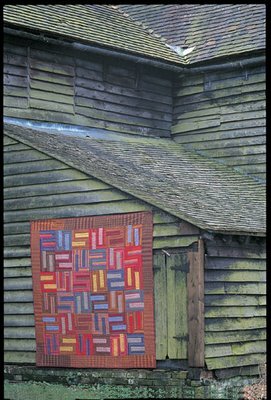 Kaffe Fassett will be signing copies of the new book on our stand at the Festival of Quilts and if you are not going to be there and would like a signed copy then we are taking pre-orders now. Our Kaffe Fassett book page has further details on how to do this. We have some great offers on Fat Quarter Packs featuring Kaffe Fassett designed fabrics. Buy five fat quarters for the price of four, saving you £2.40 on the pack. There are five Kaffe Fassett packs. There are also deals on other Rowan Designers with six fat quarter packs from Martha Negley, Philip Jacobs and Carla Miller. Clover Mini Iron II "The Adapter"